To describe the character of Walter Mitty in one word, he is a daydreamer. He thinks of big heroic deeds but does nothing. Walter can be described as an escapist. Originally, it’s a fictional character created by James Thurber in his short story, but it was later pictured in movies. The latest version was released in 2013, under the name of The Secret Life of Walter Mitty. There are a number of Walter Mitty quotes and interactions from the movie that can be enjoyed. Take a look at a few picked by us. Beautiful things get noticed themselves. Learn the A, B, Cs of life. Have courage to go into the unknown. Agreed! It could bring the worst consequences. There are no limits of the human spirit. We all would have to face that time. I really want to be a part of some noteworthy adventure. Right there, right here...I just want to stay in the moment. Best way to live the life. Make your own way, if you don't find one. Don't let the doubts stop you. We all should try to find the courage to start the life. 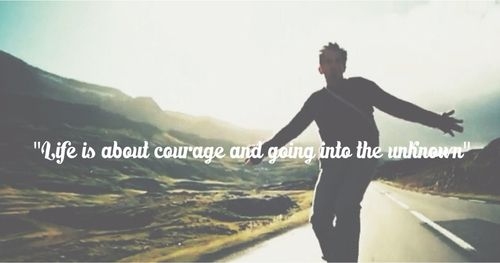 Hope you have enjoyed our collection of Walter Mitty quotes. Everyone can be amazing and surprise others. Don't be someone that settles! Major Tom is about the courage for the unknown. Server responsed at: 04/21/2019 10:29 p.m.